Bob McLeod was born and raised in southwest Atlanta and was interested in art from an early age. But living across from a golf course resulted in much time spent away from his drawing board. 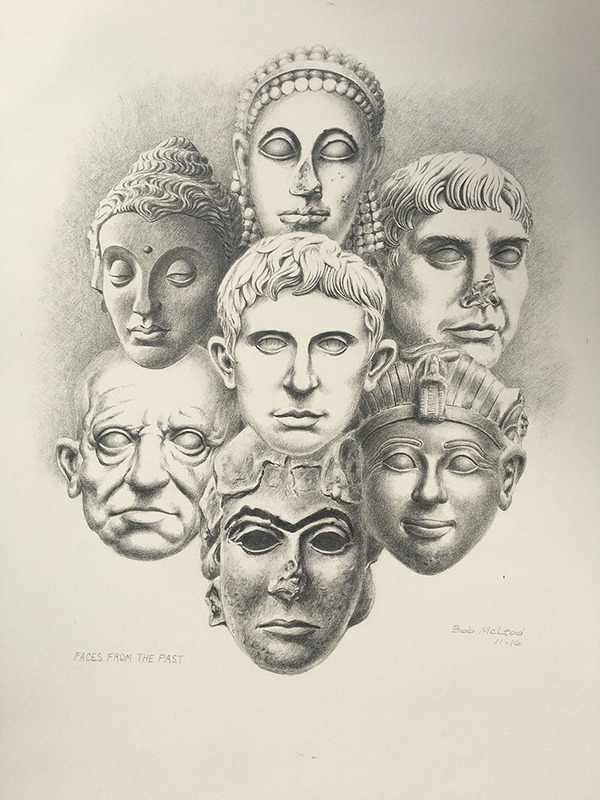 He had several art classes in high school and in his teens took and learned greatly from the “Famous Artists correspondence course” from Westport, CT. In his senior year in high school he won a competitive art scholarship and then majored in art at Georgia State College in Atlanta. He spent much time drawing during his teens and twenties but slowly golf took over as his number one interest. While golf and art overlapped for some years, slowly golf won out and many years went by without much or any art activity. He retired after 33 years of employment and about 2 1/2 years ago finally returned to art and his long-neglected drawing board. After a few tentative drawings, drawing became familiar again and results were much better than expected and improvement was steady and apparent. He re-drew many drawings he had done years earlier, with many surprisingly even better. He’s always specialized in drawing faces, portraits and still lifes. Painting in oils was always a secondary interest, but he hopes to soon exchange his pencils for brushes at times, but drawing will always be his main interest and ability.